Last month I helped my sister throw a spa party for my niece and it was a blast! 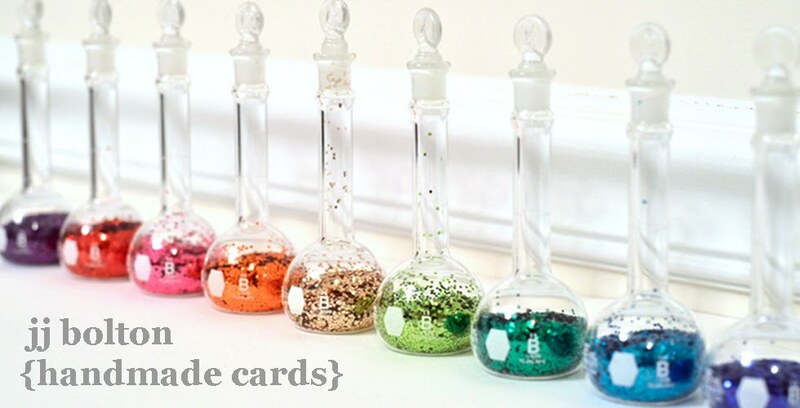 As a fun memento of the party, I've made these little mini albums for each of the guests. I stamped and die cut gift tags using the new Avery Elle patterned paper and those were the front and back cover of the mini album. Then I die cut each picture (you can get 2 pics on an individual 4X6 photo) and backed it with a card stock die cut. Here's a picture of the inside of the front "cover". The perfect place to write a little note:) Can't wait to pass these out! Wonderful idea! I bet everyone receiving such a mini album will be thrilled. How sweet is this?! !...Love it! You are the best sister/aunt! These are so cute, they will love them!!! Your mini album is adorable! What a great gift for the party attendees! 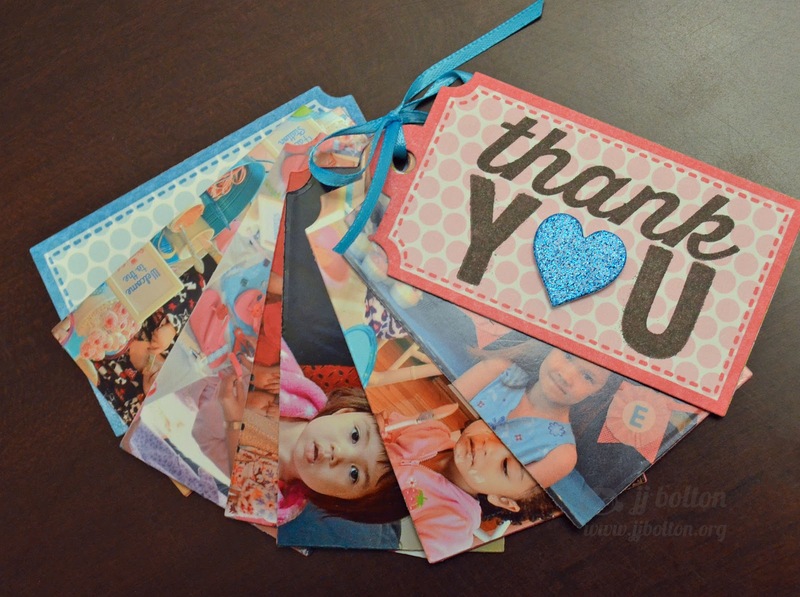 Very cute thank you album...love the idea of giving it as a gift for guests. What a perfect idea! That would make a treasured memento for many occasions. So cute, JJ! 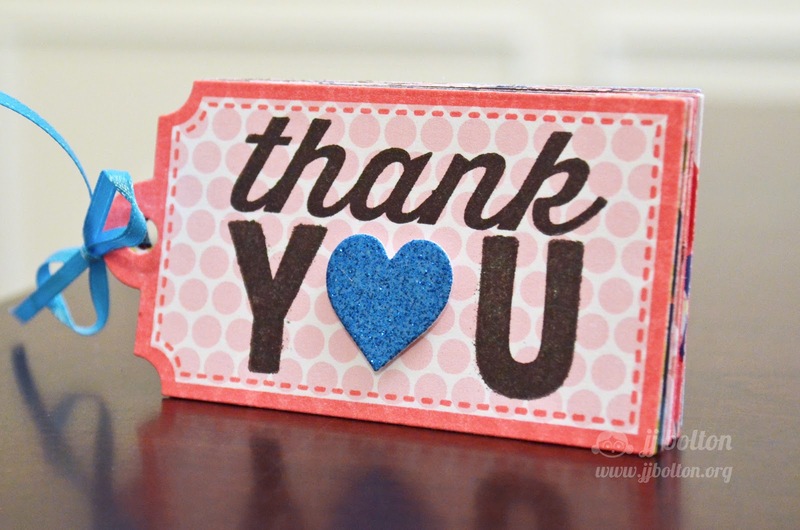 I love the idea of making a mini album from die cut tags!!! What a great idea, JJ! 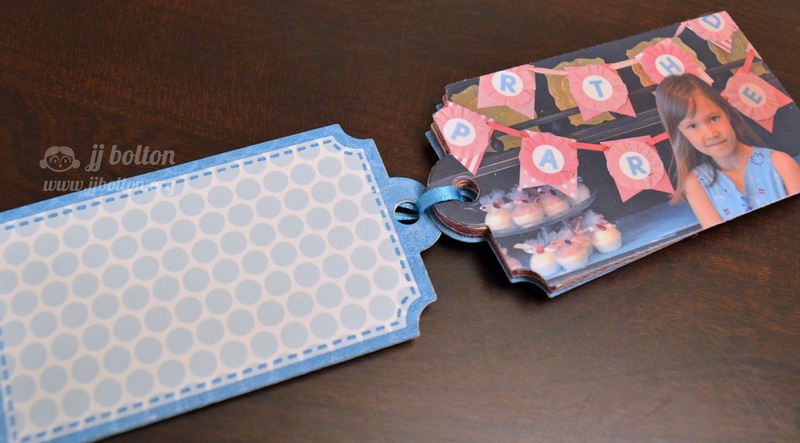 I love that you used the new AE papers, too ~ Such a fun memento for a spa party!